Yulia Mennibaeva was born in Russia. 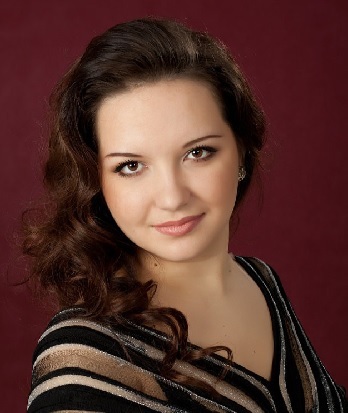 Her repertoire includes Genevieve in Pelleas et Melisande (Debussy), Bersi in Andrea Chenier (Giordano), Marta in Iolanta, Olga in Yevgeni Onegin (Tchaikovsky), Maddalena in Rigoletto, Fenena in Nabucco, Emilia in Otello (Verdi), Lubasha in The Tsar’s Bride, Amelfa in The Golden Cockerel (Rimsky-Korsakov), Marfa in Khovanshchina (Mussorgsky), Adalgisa in Norma (Bellini), Lola in Cavalleria rusticana (Mascagni) and others. She performs in the opera houses of Zurich, Amsterdam, Madrid, Oviedo, Monte Carlo, Moscow and others. This is her Israeli Opera debut.